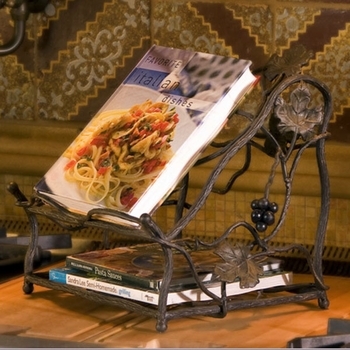 Showcase your oft-used cookbooks on one of our handsome, hand-forged book stands. 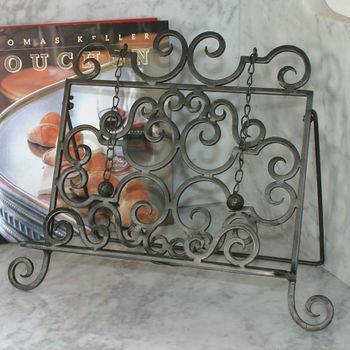 Styles and colors to match every décor, and attractive enough to leave out on the counter even when not in use. 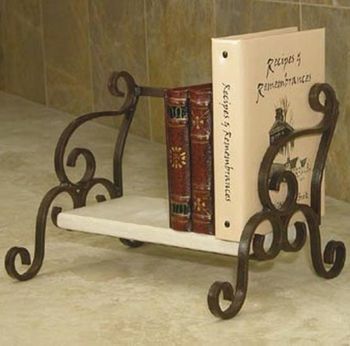 Tilted just right for ease of reading, with ball and chain weights that keep pages in place.